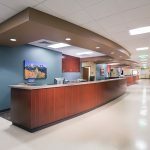 Howell completed multiple tenant finishes and renovations in an occupied medical office building for the Colorado Springs Orthopaedic Group. 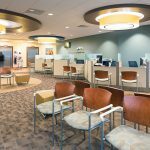 The 3rd floor tenant finish consisted of a new 29,000 square-foot orthopedic clinic. 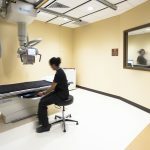 The new suite provides over 50 exam rooms, 5 x-ray rooms, 2 casting rooms, procedure rooms, prosthetic laboratory, 6 nurse stations, provider rooms, and administration offices for patients and staff. 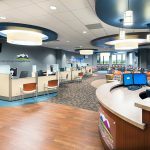 Howell also completed code upgrades to the existing 2nd floor Ambulatory Surgery Center as required by CDPS. The scope included constructing a 2-hour building separation from the 2nd floor through the 3rd and 4th floors to the roof deck, including fireproofing existing beams and columns for the convalescent care center. Howell was required to widen existing corridors, infill stairwell windows, provide 1-hour tenant separations, build out 2 operating rooms, and upgrades to the existing smoke evacuation system. 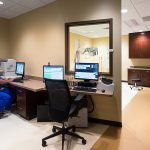 A 3,000 square-foot MRI suite was also constructed that required a new thickened slab-on-grade and RF shielding to house a new MRI magnet. MRI support work required the installation of a new cooling tower housed in a modified masonry enclosure.